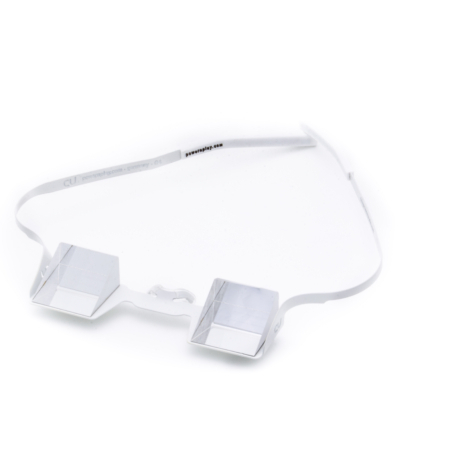 Get your CU Belay Glasses TODAY! Order NOW! Never deal with a sore neck belay neck! The ultimate way to Comfortably Belay! 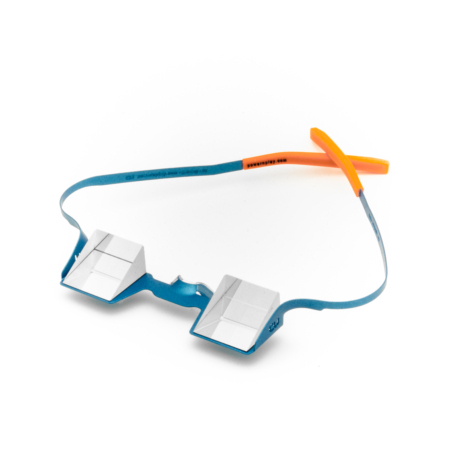 CU Belay Glasses enable sport & wall climbers to eliminate the pain and discomfort of ‘Belayer’s Neck’. Regardless of age or present neck-health, correcting posture (maintaining a neutral unstressed position) can provide immediate relief, and help prevent future problems or injury. Buying the CU to share with your regular climbing partner costs no more than one Osteopath session each ! 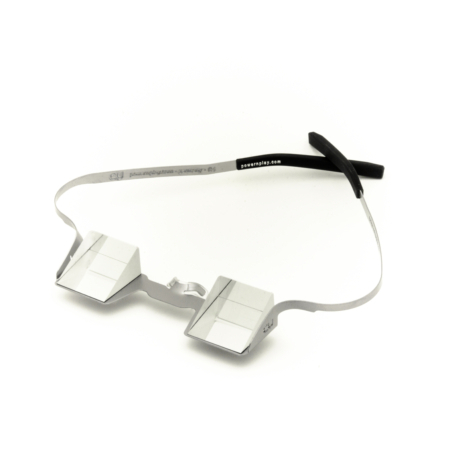 Quality, by the Inventor of the Original Belay Glasses! Don’t be fooled by imitators, there is only one original way to comfortably Belay. 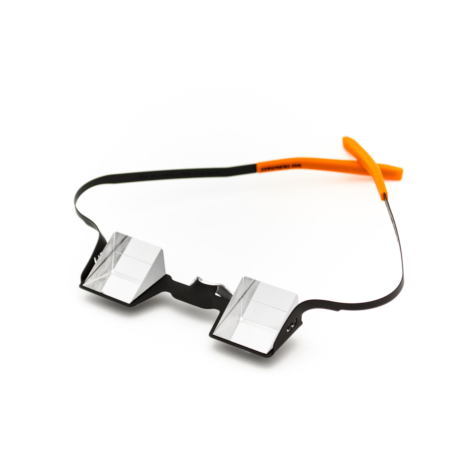 The CU belay glasses are an innovative new way to use prisms. 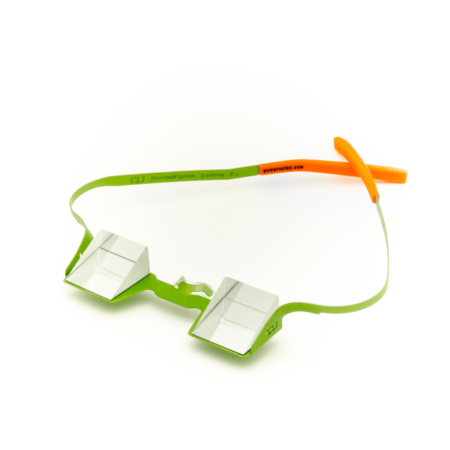 While wearing these glasses, the belayer can see straight up while looking straight ahead. The high quality glass is not only very durable and clear but it actually magnifies as well. Rather than hinges, a flexible steel frame is used. 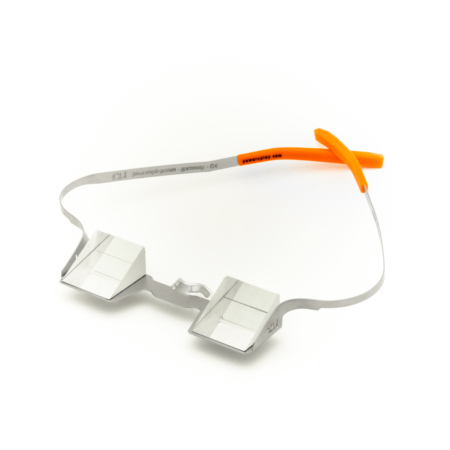 The design allows them to be worn over prescription glasses or sunglasses. 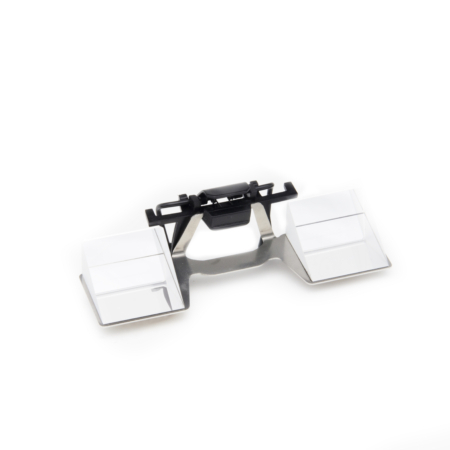 Completing the package is a neck attachment cord and a foam-padded plastic case.